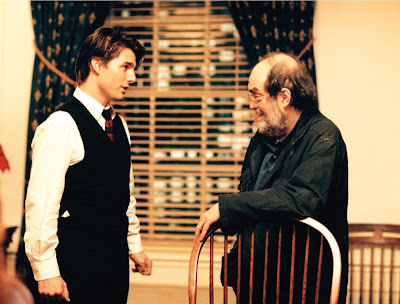 Earlier this Summer, Charlie Rose interviewed Steve Martin on a number of topics, but of particular interest to Rose was an anecdote of the typically reclusive director, Stanley Kubrick. The year was 1980 and Steve Martin was a standup comic-turned actor starting to receive a lot of attention for his film work, The Jerk (1979) having just been released in cinemas worldwide. Kubrick invited Martin to an unforgettable time at the famed director's English estate. Steve Martin, as always, is an engaging and funny storyteller as he recounts Kubrick challenging him to a game of chess and how Kubrick conversed with him about several things, including the project that would eventually become Eyes Wide Shut (1999). It is a strange alternate dimension to think of where Steve Martin could have starred in Eyes Wide Shut in the 1980's instead of Tom Cruise in the late 1990's, had Martin just been a little more excited by the idea. To Stanley Kubrick's and Tom Cruise's credit, it is extremely difficult now picturing anyone else bringing to life the part of Dr. William Harford in Eyes Wide Shut (1999). 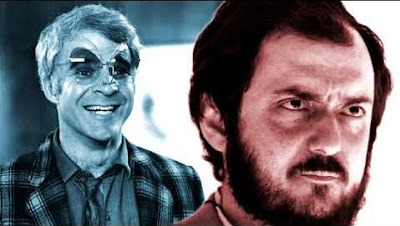 Steve Martin in the part during the 1980's would have certainly made for a much different adaptation of the text, likely skewing the material even further toward dark comedy. Maybe one day we can catch this version of the film playing on Rick and Morty's interdimensional cable.